Long free weight bar with star collars. 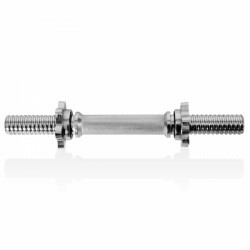 Now, you can also accomplish a dumbbell workout with weight plates having a hole of 50mm by using this high-quality dumbbell bar. 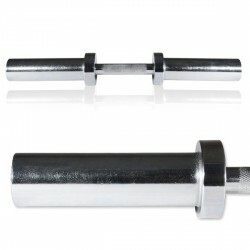 The dumbbell bar made of quality steel is about 51 cm long and has 17 cm of dumbbell surfaces. 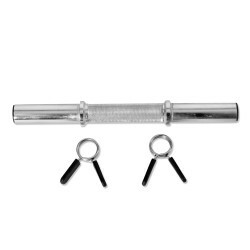 Dumbbell bar with a rubber grip and practical spring collars. 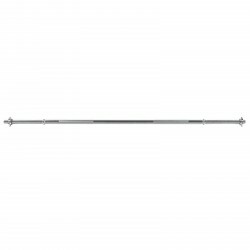 The professional barbell bar is 220 cm long and can take weight plates with a hole of 50 mm. 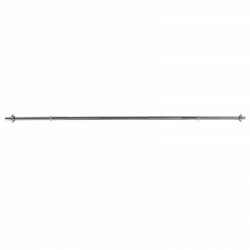 The barbell bar of Taurus is optimal for weight training at home or professional strength training at the gym. Dumbbell bar with star collars for weight plates with 30 mm hole. Dumbbell bar with spring collars for weight plates with 30,5 mm hole. 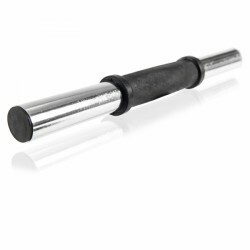 Gym-quality curl bar for weight plates with 50mm hole. Dumbbell bar with holder for 50 mm weight plates, perfect for the training of the triceps or the biceps in neutral grip! 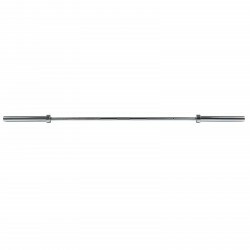 Exceptionally solid, 200cm long free weight bar with star collars. Dumbbell bar with star collars for weight plates with 30.5mm hole. Pros: This bar works well with Ironmaster plates and does not roll around the floor. The knurling is well machined; this allows one to get a good grip on the bar. 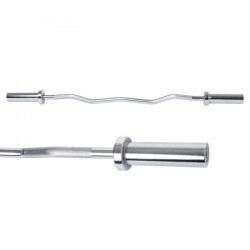 Although some people have said that EZ bars are not as effective as straight bars when doing curls, I have found that the hang position allows me to do curls whilst reducing undue forearm tendon strain - seems to work well in combination with the Ironmaster curlpult pad, and can also be used for very effective pullovers. Cons: To get the most out of this bar, one needs Ironmaster plates - if you already have an Ironmaster dumbbell set, this will not be an issue. 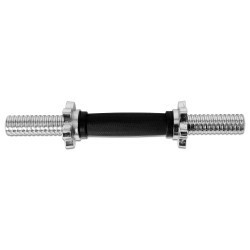 Although the bar is described as a 'quick lock' bar, it uses a spin collar system and not the quick lock system to attach weights. 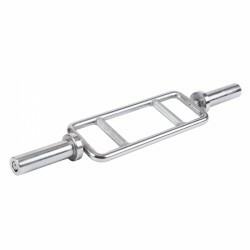 Pros: This bar works well with Ironmaster plates, and does not roll around the floor. The knurling is done well; this allows me to get a good grip on the bar. Although some people have said that EZ bars are not as effective as straight bars when doing curls, I have found that the hand position allows me to do curls whilst reducing undue forearm tendone strain - seems to work well in combination with the Ironmaster preacher pad, and can be used for very effective pullovers. Cons: To get the most out of this bar you need the Ironmaster plates - if you already have a a pair of Ironmaster quick lock dumbbells, this will not be an issue. Although the bar is described as a; 'quick lock' bar, it uses a spin collar system and not the quick lock system to attach weight plates. There are a lot of good reasons for strength training with weights. Free weight training - at home or at gym - is versatile and effective. Train almost all important muscle groups with bars and weight plates. For bench press, you train the chest muscles, with curls the biceps. Strengthen your leg muscles with squats (using a bar). 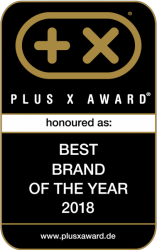 In order to buy the bar, which is ideal for your training target, we present you the most important differences. The most important differences for bars are: length, shape, diameter of the part taking weight plates/of hole, grip width/inner dimensions of the barbell bar, width of part taking weight plates, grip diameter of bar. The weight of the bar can also play role for buying. Shape: straight, SZ or curl bar or a special triceps trainer? Hole: weight plates with hole of 30 mm or 50 mm? Grip width: determines, how wide you can grasp the bar. According to narrow or wide grip, different muscles are trained. Furthermore, you can check using those values, whether the bar fits to your weight rack. Width of part taking weight plates: How many weight plates can be put on the bar? Grip diameter: The grip diameter is between 28 and 31 mm. The more professional you exercise with the barbell, the more decisive is this factor. Loadability: You decide how much additional weight you can put on the bar. The most important accessory for bars are weight plates. Mind that weight plates have the correct hole. There are many different weight stands for barbell or dumbbell training, which make the training more comfortable and safer. We recommend a squat rack for doing squats with a barbell bar: it distinctively increases the safety. A weight bench is also required for many weight exercises. Then you have your own gym at home. Moreover, there are special grips to increase the grip diameter for exercising more effectively the forearms.